This is the 2015 calendar!!! The information on this calendar was obtained from many sources, and many organizations. Every attempt is made to provide accurate information. Organizations sometimes make changes, and I am not always informed. Please follow the "More Info" links to check for updates from the sponsoring organization. If you find errors, please email webservant@eLivermore.com. The details for the following reoccurring events are on a separate page, common to all calendar months. This saves download time. Click the item for the details. Grammy Award-winner Richard Marx, with more than a dozen Number One songs to his credit, is the only male singer-songwriter to have his first seven singles reach the Top Five. His songs written for artists from Barbra Streisand and Luther Vandross, to �NSync and Keith Urban, have put them in the top of the charts, while his own classic romantic ballads such as �Right Here Waiting,� �Now and Forever,� and �Hold on to the Nights� have earned him a permanent place in the hearts of listeners worldwide. Known for extravagant antics and outrageous live shows, The Tubes rode into fame on the leading edge of the 1970s punk rock movement. Emerging from the San Francisco music scene, they electrified crowds with hits such as �White Punks on Dope� and their Top 10 music video �She�s a Beauty.� With wild costumes and varied personas, lead singer Fee Waybill and a tight, energetic band that includes original members Roger Steen and Prairie Prince, surprise, thrill and flat-out entertain their fans. Airport Open House: Held annually on the first Saturday of October from 10:00 AM to 4:00 PM. Free admittance. Plenty of free parking. We hope you will attend! The City of Livermore, Airport staff and tenants invite the Tri-Valley community to celebrate the Airport's 50th anniversary at the 19th annual Airport Open House and Air Show on Saturday, October 3, 2015 from 10:00 AM until 4:00 PM at the Livermore Municipal Airport. The Open House features exhibits, food, entertainment, and a fabulous display of aircraft. If you are interested in volunteering, either the day of the event or setting-up on the day before, please complete this short registration form. To display an aircraft, please complete a registration form. A limited amount of space is available for arts/crafts vendors, non-profit organizations, boutique and gift item vendors, click for the Vendor Interest Application. Click to view the Airport Open House & Air Show Ramp Layout. Click to view the event Parking Map. Performances by renowned air show pilots, vicky benzing aerosports, Jacquie B Airshows, Dr. D's Old-time Aerobatics, and Yuichi Takagi. Please enjoy this video link of the 2012 Open House highlights and 2011 Open House highlights, courtesy of Bruce Anderson. A heartbreaking love story. A tragic betrayal! An American naval officer marries a young Japanese girl for convenience. He leaves her while she faithfully awaits his return. Set in 1902 Japan, Giacomo Puccini�s devastating saga of devotion, tradition and sacrifice is among the most beloved operas of all time and is a perfect choice for introducing new people to opera. It is sung in Italian with English supertitles. Pre-Opera lecture begins one hour before each performance. Charles Morey�s acclaimed adaptation of Bram Stoker�s eerie gothic novel brings new life to one of the greatest horror stories ever told. The vampire Count Dracula arrives in Victorian England seeking the victims he needs to pursue eternal life. He is confronted by the resourceful Dr. Van Helsing who knows Dracula can only be stopped by piercing his heart with a wooden stake. An epic battle of good versus evil, Dracula is a perfect fit for the Halloween season and a haunting classic for all time. As leader of the influential 1960�s band, The Byrds, Roger McGuinn helped launch the folk-rock genre, merging the rock beat of the Beatles with the folk sensibilities of Bob Dylan. His signature 12-string guitar sound and instantly recognizable vocals on �Turn! Turn! Turn!� �Eight Miles High� and The Byrds� number one hit �Mr. Tambourine Man,� landed them in the Rock and Roll Hall of Fame. Since going solo, McGuinn has continued to thrill fans with his warm folk sound and engaging storytelling style. Ticket Prices $49, $32 Students 21 and under $16. Gather your Witchiest of Friends for a night of Martini Tasting and Shopping Downtown! Our shops will host the best of our Downtown bartenders showcasing their martini creations and special cocktail brews! Win fabulous gift certificates and prizes in the Witches Hat and Cackle Contest! Admission: Martini Tasting is $25 (2014 price). Doors open at 10:00 am. Following the remarks and presentation, there will be light refreshments and an open house. Visit our Farm Animals-here for the month of October only! Apple Fishing -fun for kids and adults! Antique Farm Equipment with the Van Arkle/Hole Families. Candy Cart- Your Old Fashioned Favorites! Pumpkins, Pumpkins, Pumpkins- Pink, Blue, White and of course, Orange! Fresh Apple & Pumpkin Pie For Sale by the Slice or Whole Pies from Sweet & Savory Bakery & Caf�. Craft Activity with the Scouts- a different activity each weekend for kids! Downtown Livermore will once again be filled with art lovers enjoying a day of art, music and shopping. ArtWalk is a different sort of festival, as the streets are kept open and the works of over 150 artists are set-up throughout the downtown in and around parks, sidewalks, galleries, wine bars, restaurants, shops and the Bankhead Theater. 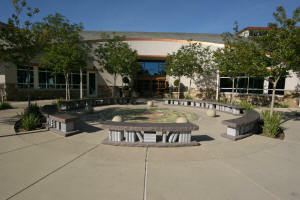 This allows visitors and the local community to experience all that Livermore's wine country downtown has to offer with art as the theme for the day. Parking is free. Art works range from contemporary to classical, abstract to realism, pottery to mixed media, handmade bags, ceramic garden art and jewelry, with subject matter from floral to figurative and much more. The 2014 art banners that were hung as street art were, in many visitors' opinion, the best overall ArtWalk Art Banner show so far. On ArtWalk day, Visitors to the Livermore Valley Plaza examined them up close and placed bids at the Art Banner Silent Auction. Special art destination offerings for 2014 included the reception for Connections III, an exhibition of art works by alumni of CSUEB at the Bankhead Theater, open studios at the popular Firehouse Art Studios and Bothwell's Downtown Art Studios, and a community CD art display at Panama Red. ArtWalk also provided free space for the Empty Bowl Project, part of a worldwide effort to help feed the hungry, with well over 100 ceramic bowls created and sold by local teens to help support Open Heart Kitchen; the high school and district-wide art show; and an annual exhibit from the Disabled Veteran's Painting Program, a year-round, all-volunteer art program led by Charles "Bud" Donaldson. ArtWalk also provided discounted booth space to worthy nonprofits such as Shakespeare's Associates; Ruraq Maki, Hands that Create, a group dedicated to raising funds for women in third-world countries by selling their handmade wares; and Cheza Nami, a group that promotes cultural diversity in the community. Location: Bothwell Arts Center, 2466 8th St. Livermore. The Fall Antique & Collectibles Faire is returning to Downtown Pleasanton on Sunday, October 11 from 8:00 a.m. - 4:00 p.m. There will be up to 400 dealers selling Antiques & Collectibles only. All items will be twenty years or older. This is the place to shop for Repurposed, Upcycled, Rustic, Antique, and Collectible; Clothing, Furniture, Jewelry, Toys, Ephemera, Home D�cor, and more. With all these dealers filling up Main Street in downtown Pleasanton, in addition to the many fine restaurants and business establishments located here and open the day of the show, this event promises to be an Antique and Collectible lovers dream come true. This is a rain or shine event. No admission fee. Local Bay Area charitable organization, Cheza Nami Foundation, is excited to present its 4th annual extravaganza and adventure into African culture by hosting a magical afternoon of African dance and music this October the 11th, 2015 at the Bankhead Theater. Event Agenda includes a silent auction and raffle at starting at 3PM at the Bankhead Theater lobby followed by a live stage performance at 4PM of a Taste of Zimbabwe with the Chinyakare Ensemble and a Taste of Senegal and beyond with Domu Africa. Guest are also welcome to enjoy free activities at the Shea Homes Plaza prior to coming to the Bankhead Theater Program. Shea Homes plaza activities will be open throughout the day from 10AM to 6PM. The �Spirit of India� is a bold new vision of live Indian music and dance, a magnificent explosion of color and sound that traces a lively musical journey from Rajasthan to Mumbai. Artistic director and tabla musician Rahis Bharti was captivated at an early age by both traditional and modern interpretations of his country�s signature sound and style. His unique blend of classical Indian and Western instruments accompany graceful dancers providing an authentic taste of the rich beauty of India. Singer and songwriter Rosanne Cash and John Leventhal�s exciting show celebrates her highly-acclaimed and Grammy-nominated album, The River and the Thread. A lyrical and evocative musical exploration of the history and landscape of her southern heritage, the album won three Grammy Awards. Songs from the album, together with other favorites, come together in a deeply satisfying concert that both sets toes tapping and tugs at the heartstrings. Since her breakout hit Seven Year Ache in 1987, Rosanne has earned fans far and wide with her winning combination of country and American roots music. Meet the ghosts of Pleasanton's past in this uniquely spooky annual event held by Museum on Main. Ghost Walk is a 90 minute guided tour of Pleasanton�s most haunted sites along Main Street in the downtown area...and you never know what spirits you might encounter along the way! After a short introduction about the history of paranormal activity in the area, your Ghost Host will guide you on this haunted tour of the things that go bump in the night! This family-friendly tour, held for over ten years, continues to be a popular event during the Halloween season! Tours depart the museum each 30 minutes between 6pm and 8pm on the nights of Ghost Walk. The walks take place rain or shine - so dress appropriately! Costumes are encouraged! Tickets purchased online will be kept at Museum on Main Will Call. Please arrive at Museum on Main, 603 Main Street, Pleasanton, CA 94566 at least 10 minutes prior to your tour time to collect your tickets and check in. Admission: $18 Adults, $13 Children 12 & under. What started as a happy accident of three singer-songwriters united for a one time performance, has evolved into one of the most beloved of international folk acts, the Wailin� Jennys. Nicky Mehta, Ruth Moody and Heather Masse�s three distinct voices combine in achingly-perfect harmonies, creating some of the most exciting and exquisite music on the folk-roots scene. Their beguiling mix of Americana, pop and traditional folk styles is delivered with the dynamic and irresistible vocal power of three. � 15 miles � Great for beginners and families with kids. � 35 miles � Popular with recreational riders looking for a distance challenge. � 50 miles � Brand New Addition! This half-century is ideal for those who want a solid challenge, but who aren�t quite ready for the 70. � 70 miles � New Scenery! New course that�s sure to be a fun end-of-season adventure for avid cyclists. Christian Bautista has been called a superstar of romance and one of today�s most significant Asian pop singers. His immense popularity on the Philippine�s �Star in a Million�contest propelled him to superstardom and fueled triple platinum sales of his debut album. After a half dozen albums, as well as stage and film roles, Bautista�s star shines as brightly as ever, his sleek, silvery voice a perfect fit for the love songs and contemporary ballads that thrill his fans and keep them coming back for more. Join us for the 7th Annual Downtown Halloween Carnival Saturday, October 24th, 2015 from 1pm to 5pm! Activities for families with children in the 5th grade and younger! Kids will enjoy the Costume Contest, Carnival Games, Activities and some Surprise Entertainment! Location: J Street and K Street between First and Second Street as well as the Livermore Valley Plaza and the Flag Pole Plaza. The Pleasanton Downtown Association (PDA) is excited to announce the 5th annual Halloween Brew Crawl coming to Downtown Pleasanton on Saturday, October 24 from 5 -8 p.m. Downtown merchants and local breweries will come together for a night of adult trick-or-treating. Participants will sample a variety of craft beer and tasty bites at locations on and around Main Street. To add to the festive Halloween spirit of this event, guests are encouraged to wear costumes. Ticket Information Each participant receives beer tastings and tasty bites, a commemorative beer glass and tasting map. Stay tuned for ticket information. The epic struggle between good and evil comes to life on stage in the musical phenomenon, Jekyll & Hyde. Based on the classic story by Robert Louis Stevenson, A devoted man of science, Dr. Henry Jekyll is driven to find a chemical breakthrough that can solve some of mankind�s most challenging medical dilemmas. Rebuffed by the powers that be, he decides to make himself the subject of his own experimental treatments, accidentally unleashing his inner demons along with the man the world would come to know as Mr. Hyde. Admission: Individual tickets: $38 Regular, $36 Seniors (60+), $28 Juniors (under 18). Astrophysicist Alex Filippenko will explain why black holes are no longer confined to the fertile imaginations of science fiction writers and theoretical physicists. Dr. Filippenko is an award-winning professor of astronomy at University of California, Berkeley. Black holes are regions of space where gravity is so strong that nothing, not even light, can escape. Stellar-�-mass black holes can form during the deaths of some types of massive stars, and supermassive black holes are found at the centers of galaxies. Come learn about the remarkable properties of these bizarre objects. The Plague starts at the Downtown Art Studios, where average citizens are turned into hideous zombies, given their special glow-in-the-dark zombie beer mugs, and turned loose in Livermore�s Downtown. Several barkeeps and pub owners will pour a half-pint at half-price in these special mugs, and enjoy other goodies shopkeepers are cooking up to appease them. At 8:45, zombies will gather for a special �Thriller� dance on the pavilion in front of the Bankhead Theater and then head to the Vine CInema for a special movie screening chosen just for them. This is a 21-and-over only event. Admission: $20 in advance, $25 at the door (if available). Must be 21 or over. Guitarist Paco Pe�a embodies both authenticity and innovation in flamenco, transforming perceptions of this archetypal Spanish art form. �Flamencura� explores the alchemy between artist and audience, that mysterious point of communion where the line between them becomes blurred and both experience total involvement in the art. Paco Pe�a ignites all the intoxicating rhythms, colors and sounds of Spain, filling the stage with bursts of glorious improvisation and virtuoso flamenco technique. It�s impossible to attend a Paula Poundstone performance without marveling at her ability to interact spontaneously with the crowd. Her wry observations spark impromptu dialogue and guarantee riotous laughter. Armed with nothing but a stool, a microphone and a can of Diet Pepsi, Poundstone can find the hilarious angle of almost any subject, from the absurdity of the political world to the deviousness of housecats, and deliver it with a casual air, impeccable timing and razor-sharp wit. May be a little too scary for kids six and under. Locations: See specific event for its location. Main (Civic Center) Library: 1188 S Livermore Ave.
Rincon Branch: 725 Rincon Ave. This photo also appears on Google Earth.